The selection of red cards represented my first attempt. The lone green card, and the little tags, came from an extravagant visit to a paper craft shop near the office. 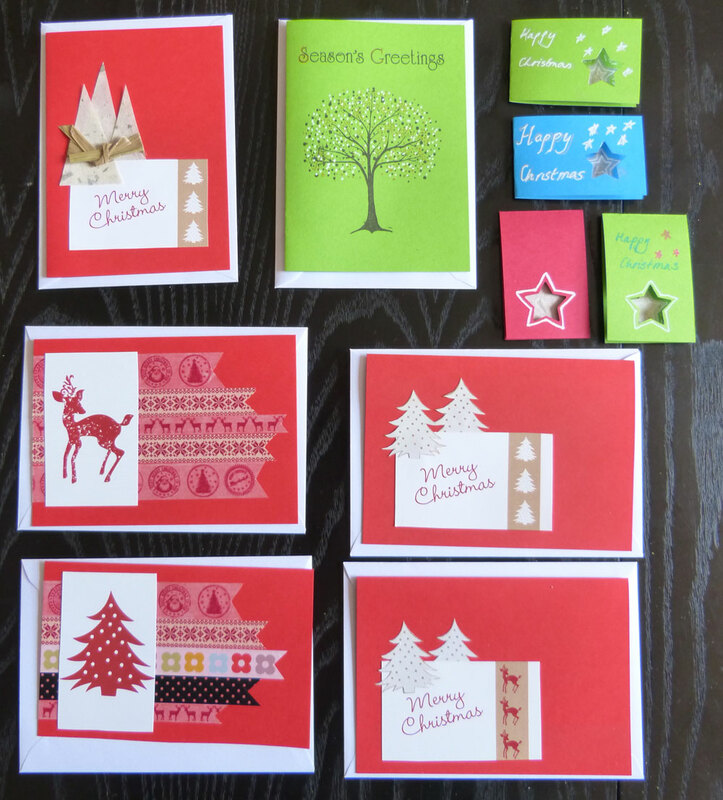 I decided to limit myself to two stamps – the large tree and the ‘Season’s Greetings’ – and a couple of punches. This post represents my first venture into writing about the crafts as I go. I’ll try to grab a moment to show off the individual cards, too. Craft: getting these photos taken and uploaded, posted my first post from my Mac. And: a good attack on my third crochet blanket that’s been lingering. Enjoyment: better. Knocking a lot of things off to-do lists makes me feel good. Weight: 2lb down, just because I’m not snaffling food every time I walk into the kitchen. Exercise: took last week gently, but it was better: 17.4 miles.